A passionate people, the Irish have a long history with gambling so it should come as no surprise that online and mobile betting is a popular pastime across Ireland. 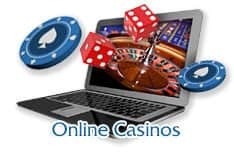 Due to the increasing popularity of internet-based activities causing sites to pop up like wildfire it can often prove difficult choosing a reputable real cash site to build your bankroll with. That is where we come in. Our betting experts have done all the hard work for you and vetted only the best online gambling sites to include on our recommended list with our top pick for April being Betway Sports. In Ireland, online sports betting has seen a surge in popularity due to the rise of mobile technology bringing in an age of convenience when it comes to one of Ireland&apos;s most popular activities - gambling. While brick-and-mortar gambling houses are still popular, the ability to place multiple bets on both local and international fixtures at online sports wagering sites has proven too much of a draw for Irish audiences. Combine this convenience with the ability to compare odds across an ever increasing number of sites means that hunting for the best line odds when placing a wager is both profitable and easy. Online betting in Canada takes the hassle out of sports betting so why not bypass all the queues, limited access to results, and the three-wage-betting requirement enforced by most brick-and-mortar betting houses and take home a win with one of our top rated sports betting sites. When it comes to choosing how to place your wagers, Irish audiences are spoiled for choice. 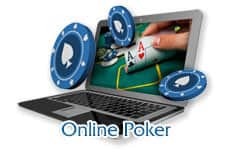 From online sites that can be accessed from their home PC, to mobile applications that can be downloaded to a cellular device or tablet, to accessing sites through a mobile device&apos;s built-in browser, there are more ways than ever to access the most convenient method of online gambling. Reputable online sports betting sites also offer their Irish audiences a range of banking options when it comes to real cash wagering. 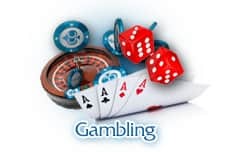 These include but are not limited to credit cards, debit cards, e-wallet services, and more meaning that you have more choice than ever with how you place your wager. Placing sports wagers online is easier than ever with the rise of mobile technology. With only the Blackberry, Apple, Windows or Android phone, or tablet, already in your pocket you can now place any number of wagers on your choice of website with only the touch of a button. 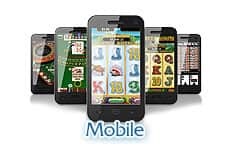 With the rising demand for more sites that offer online betting services to Canadians comes an increase in the number of sports bettings apps and sites that can be accessed with your Apple (iOS) or Android device. These sites often use html5 technology which is easily translated onto a mobile platform, meaning that all you need to get placing bets is a device you more than likely already own. With applications for all brands and operating systems, from the latest iPhone to your Android device from Sony, Samsung&apos;s Galaxy range, HTC or Nokia; to your ever faithful Surface Pro, Amazon&apos;s own Fire, or even your trusty Blackberry, there is guaranteed to be a sports betting app or site for you. While the list of reputable online sports betting sites in Ireland continues to grow, so does the list of sites to avoid due to unsavoury business practices, excessively long payout times or any number of other factors that could contribute to an unpleasant online gambling experience. That is why our panel of experts has carefully vetted all the sites on our recommended list of online sports betting sites to ensure that you get only the best wagering experience the next time you hop online. Placing your next wager need not be a stressful affair. The following sports betting tips and tricks can be followed by the extremely green and seasoned veterans and are good to keep in mind whenever you are looking to deposit at an online gambling site. How is placing bets online different from traditional betting houses? The main differences lie in both the convenience of online sports wagering as well as the ability to place multiple bets at once. In addition, online gambling sites allow bettors to place wagers on future fixtures. This means that timing your bets couldn&apos;t be easier. How do I place bets online? Placing a bet online is simple and easy. First step - choose your online sports betting site or sites. Step 2 - register an account and setup your banking option. Step 3 - deposit your real money into the account OR claim your credits (for free-to-play sites). Step 4 - place your bet. Step 5 - Win! What are the rules of online sports betting? 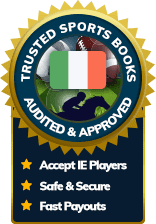 In Ireland, sports betting rules are set by the sites or applications you choose to wager at meaning that you should always read through all the terms and conditions of any site before signing up. Stay informed, stay safe. Do I have to wager with real money? You don&apos;t have to spend real cash to get the online sports betting experience. There are sites that allow players to wager with site credits and practice credits in order to allow players to build on their wagering experience before risking their own hard-earned Euros. How do the odds compare to traditional betting houses? Due to the huge amount of competition in the online and mobile sports betting field, players often find themselves with better wagering odds than they would find at a brick-and-mortar betting house. In addition, being able to compare odds and lines makes finding the best wager for your buck even easier. Is it safe to place online bets? Yes! When placing bets at a reputable online betting site you can be assured that all your personal information is being kept secure behind some of the world's best encryption technology. Placing bets online is not only convenient but also as safe as placing a bet at a brick-and-mortar betting house.